8 Commercial Real Estate & Properties in Holland Park are listed in 3 categories. We have 3 Medical and Consulting PropertiesLease , 3 OfficesLease and 2 Retail ShopsLease . 120m2 approx Currently configured with a selection of offices and work areas Excellent onsite parking Owner will refurbish to suit tenant Suit variety of uses Zoning QPP DC1 DISTRICT CENTRE (DISTRICT) ZONE Amenities / Air conditioned Located in the Holland Park Shopping Precinct Located approximately 6kms South East from the Brisbane CBD, Holland Park is an older suburb that continues to gain in popularity. Although predominantly a residential suburb, it features commercial areas along Logan Road and in pockets throughout the suburb. 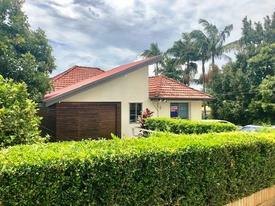 Please call Jose Rojas on 0431 245 598 or Nina Brailey on 0415 387 727 from McGees property to schedule your inspection. This professional medical suite is situated on the upper level of the Holland Park Medical Centre. Join Chemmart, QML, the Holland Park General Practice plus others. Features include: 54 m2 lease area Partitioned offices Front reception and waiting area Kitchenette Carpeted Access to new male & female amenities The Medical Centre has undergone a recent renovation, and is looking to add a new medical professional to its already impressive tenant mix. For more information or to book an inspection please contact your Blocksidge Agents. This Showroom Office is situated on the lower level of the Holland Park Medical Centre and has its own entry and street frontage . It has 24/7 access with plenty of parking on site. The Medical Centre has just undergone an upgrade, including new bathroom facilities, new exterior paint as well as upgraded signage. 62.6 m2 lease area Split Air Condition units Area is split into 2 separate areas Carpeted Water and sink For more information or to book an inspection please contact your Blocksidge Agents. Glass shop front Ex accountant office Great parking available Two separate rooms Polished timber floors Contact Exclusive Marketing Agent Manoli Nicolas for an inspection today on 0400 082 170 Price: $16,657.20 + O/G + GST Area: Total: 36 72m2 Location: Holland Park located approximately 6 km from the Brisbane CBD, and is neighboured by southern suburbs, Holland Park West, Mount Gravatt, Mount Gravatt East and Camp Hill. The Griffith University campus, shopping centres, schools and the dedicated BCC bus way along the Southeast Freeway have helped to add value to the area in recent years. The area is a portal to large population of commuters from the South to the CBD Brisbane district. The Southeast Freeway makes the daily commute to the Brisbane CBD or driving to the Gold Coast relatively hassle free. 130m2 Street Front Retail/ Office  $24,000N/pa + outgoings +.. Rarely available 130m2 retail space in Holland Park Excellent exposure 4 6 car spaces right in front, plus additional on Roscoe St Small corner centre of 3 shops. Dance school in centre Shared centre amenities Kitchen and sink internal Currently hair dresser studio Polished timber floors, high internal ceilings, split system air con, glass shop front Contact Exclusive Market Agent Manoli Nicolas on 0400 082 170 for further details today Price: ONLY $24,000 P/A + OUTGOINGS + GST Area: Total: 130m2 Location: Holland Park located approximately 6 km from the Brisbane CBD, and is neighboured by southern suburbs, Holland Park West, Mount Gravatt, Mount Gravatt East and Camp Hill. The Griffith University campus, shopping centres, schools and the dedicated BCC bus way along the Southeast Freeway have helped to add value to the area in recent years. The area is a portal to large population of commuters from the South to the CBD Brisbane district. The Southeast Freeway makes the daily commute to the Brisbane CBD or driving to the Gold Coast relatively hassle free. Property particulars: 80m2 First floor office (has stairs) Air conditioned New carpets available for suitable lease terms Alarm monitoring is included Wiring for phone and data Rent includes outgoings except air conditioning service and security call outs for response to alarm activation 3 car parks + 3 shared visitor parksFor more information or to arrange an inspection, contact agents today!